‘Are you more important than the Sultan Padishah then?’ asked Mehmetcik, astonished. 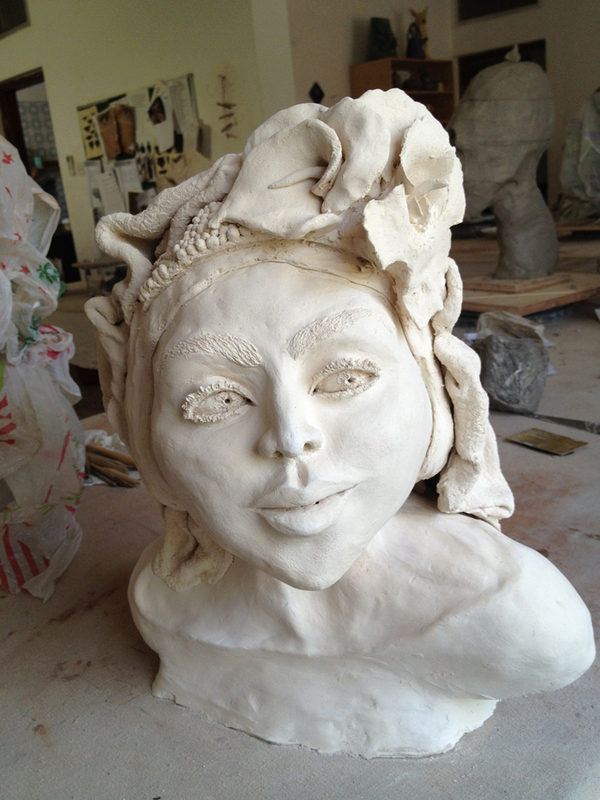 I sculpted my clay into a woman. 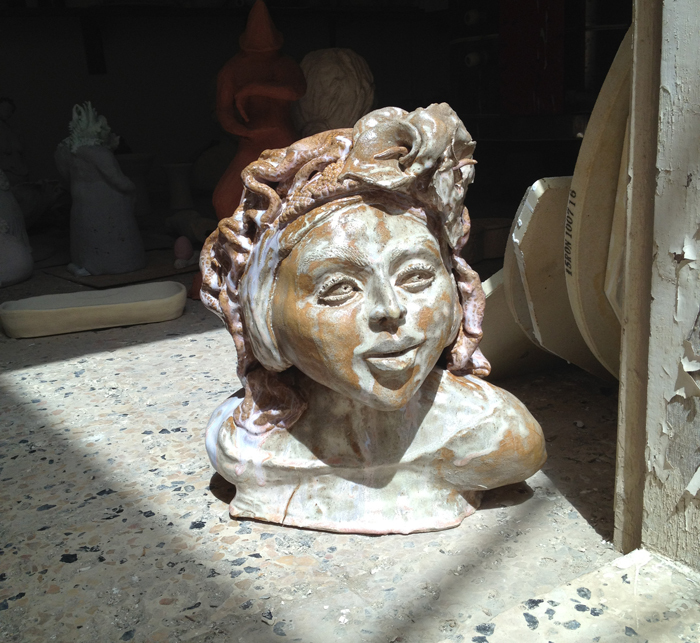 She dried in the air before being baked in the kiln’s fire. Pleased she emerged intact, Michelle, my teacher and I discussed many, many options for the finishing touch – color. Michelle guided me towards some tried and true glazes, encouraging me to keep it simple. I choose only two colors. I poured Fire Opal, a pinkish/blue over her headdress and powdered her face white. Having prepared my creation the best I could, I let go. My woman faced the fire alone. As I walked into the studio, I was anxious to see how she managed when mixed with the other creations and put under pressure. To summarize, she fared poorly. Under the combination of the elements, she cracked. My intended colors did not stick. The vibrant pinks and blues melted away. Their residue burnt her surface and scorched it brown. Although she retained her original shape, she did not turn out at all like the woman I imagined. Oooohhhh….ouch! Did she even have a name, poor woman? If I were the God, I surely would weep but some things are ‘nature’, not ‘nurture’, so it cannot all be controlled. (Although on a potter’s technical note: I would say your glaze was not well mixed and not applied thickly enough.) As the Good Lord surely said, “It doesn’t matter if you win or lose, it’s how you play the game.” Think of all you learned in the process. A good lesson in letting your “creations” go their own way! p.s. I’m off to glaze some pieces myself tonight – wish me luck! Au contraire, Eva: She’s beautiful. She has the patina of experience that we all wear. Love her the way God loves us. Well thank you but she is supposed to be a young girl just beginning her life. The inspiration was an old Cartier photo from the 1960s. The young woman was decked out in hundreds of thousands of dollars of diamonds, ready to be married. She looked very hesitant, a kind of trophy being given away. I envisioned the statue as young and bright woman with clear skin. It would be the day when she would look her most beautiful. But things don’t always turn out as we imagine. I have been given many ideas how to “fix” her. I will see what happens.